Rudyard Kipling is one of the most favorite English writers of all times, amongst the first masters of English short stories and also the first to use Cockney dialect in serious poetry. His early stories about life in colonial India were highly appreciated by readers. Also adding to his popularity was his support of English Imperialism. However, in the 20th century, the same support created a reaction against him. Kipling’s father was a professor of architectural sculpture in the School of Art in Bombay, India where Kipling was born on December 30, 1865. 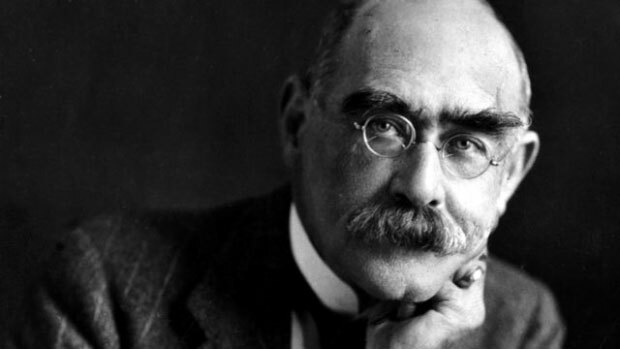 In 1871, Kipling was sent to England where he began studying at United Services College, a boarding school in Devon. Along with studies, Kipling spent his time bullying, playing practical jokes and making strong bonds of friendship. Kipling later wrote about his amusing experiences at the school in Stalky & Co. (1899). Two of his closest friends at the school were George Beresford, Crom Price, the headmaster who encouraged the writer in Kipling by admiring his poems and also asking him to edit the school newspaper. Kipling’s first published work was a collection of poems he sent to his father in India who had them published privately in a collection named Schoolboy Lyrics (1881). While on a long travelling trip to the United States, China and Japan, Kipling did not know about the popularity he was gaining back in London. Upon his return, Kipling realized he had become a literary celebrity. Kipling now wrote some of his most remembered poems A Ballad of East and West, Mandalay and The English Flag. Kipling also introduced the new genre of poems written in a Cockney dialect. Some of these poems include Danny Deever, Tommy, Fuzzy-Wuzzy and Gunga Din. His first novel, The Light That Failed was published in 1891. The novel did not achieve much success. However his collection of stories, Life’s Handicap (1891) and poems Barrackroom Ballads (1892) made him to the most popular English author. Kipling spent the happiest four years of his life after marrying Caroline Balestier in 1892. He also wrote some of his best works during this time including Many Inventions (1893), The Jungle Book (1894), The Second Jungle Book (1895), The Seven Seas (1896) and Captains Courageous (1897). These works established Kipling as a serious writer who became a literary icon in the history of literature. In addition to fame, Kipling’s work also brought him immense monetary fortune, making him a rich man. The Kiplings moved to Rottingdean, a village on the British coast near Brighton in 1897. When the Spanish American war broke in 1898, Kipling began writing about colonial affairs. He published a number of poems in London Times. The most famous of these poems were Recessional and White Man’s Burden. Kipling spent some time in South Africa during the Boer war where he worked on an army newspaper. In 1901, Kipling published the last of his works about life in India, Kim. There was a significant decline in Kipling’s popularity towards the end of the Boer war. He moved to a house near Burwash, a secluded village in Essex. After producing a number of more works in his later life and winning the Nobel Prize in 1907, Kipling died on January 18, 1936.